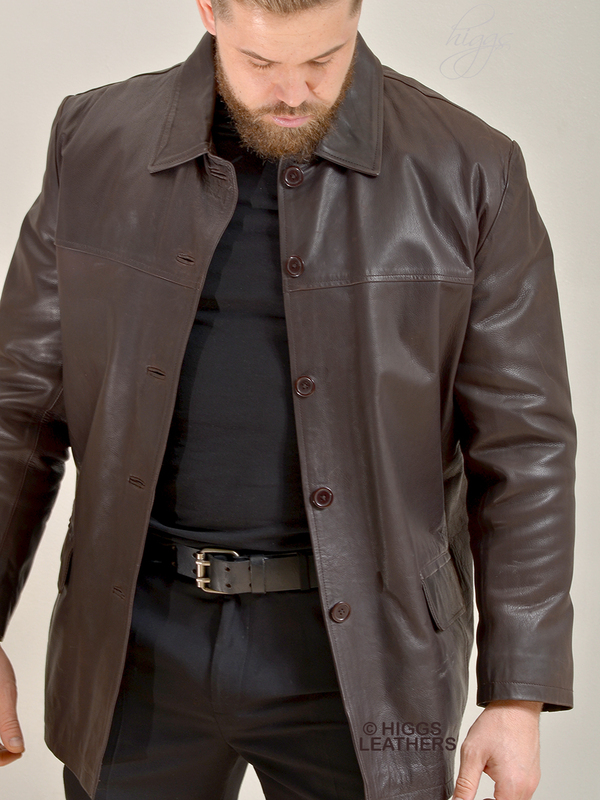 Extra hard wearing medium weight Brown Cowhide men's leather "Box" style jacket. Comfortably placed deep pockets with leather flaps that can be tucked inside the pocket. One full wallet sized inner pocket edged with leather. High quality brown quilt stitched Polyester lining. Jacket length approx. 32" (81 cm).